Types of angles are discussed here according to their degree measure. 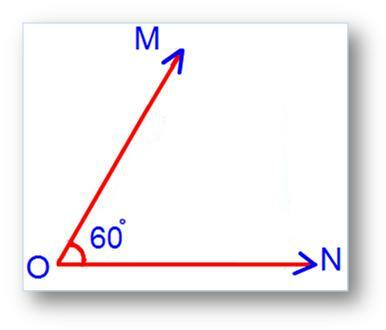 An angle whose measure is less than 90° is called an acute angle. ∠MON shown in adjoining figure is equal to 60°. So, ∠MON is an acute angle. An angle whose measure is 90° is called right angle. In the above figure, ∠AOB is a right angle. In this case, we say that the arms OA and OB are perpendicular to each. 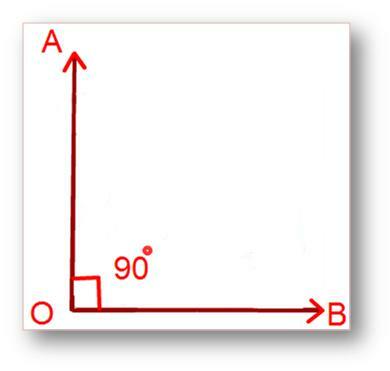 Therefore, ∠AOB shown in adjoining figure is 90°. So, ∠AOB is a right angle. An angle whose measure is greater than 90° but less than 180° is called an obtuse angle. ∠DOQ shown in the above figure is an obtuse angle. 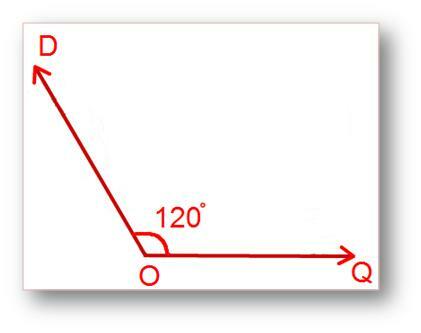 An angle whose measure is 180° is called a straight angle. ∠XOY shown in the above figure is a straight angle. A straight angle is equal to two right angles. An angle whose measure is more than 180° but less than 360° is called a reflex angle. ∠AOB shown in the above figure is 210°. So, ∠AOB is a reflex angle. 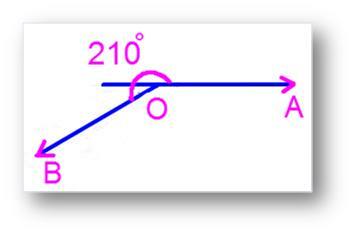 An angle measure 0° is called a zero angle. When two arms of an angle lie on each other, 0° angle is formed. Acute Angle < Right Angle < Obtuse Angle < Straight Angle < Reflex Angle.